UK drivers cause nearly three quarters of a billion pounds of damage annually simply parking their cars, according to research by Accident Exchange. For company cars, the downtime caused by vehicles being off the road for repaird, could be adding to the cost for employers. 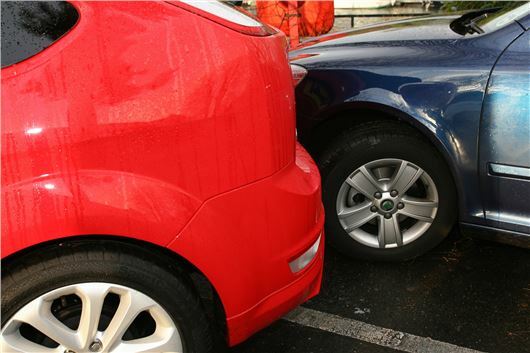 Costing £1,428 on average to repair vehicle damage, car park prangs are second only to rear-end shunts as the most common kind of car accident. Up nearly four per cent since 2010, it is estimated that there are 500,000 car parking collisions of this type annually, or 1,373 every day. The replacement vehicle provider to the motor industry found most parking incidents take place at slow speeds but that does not stop motorists damaging doors, wheels, bumpers and other parts of the bodywork. A possible contributing factor is that today’s larger vehicles are now squeezing into parking spaces of only 237.5c in width – the average car park space size – leaving drivers of the latest Golf for instance, at 203cm wide (including door mirrors), with only 17.25cm either side. In comparison, the original Golf MK1 was just 171cm wide. Liz Fisher of Accident Exchange said: “Looking at the statistics, you’d think there is chaos in car parks up and down the country and that drivers are literally battling for spaces to park. “The fact is, though, that drivers are having to squeeze their larger cars into smaller spaces and there are many more car journeys made than just a decade ago. There were an estimated 2.2 million accidents on UK roads in 2011. The Accident Exchange analysis reveals that general car park incidents represent around 25 per cent of the total.